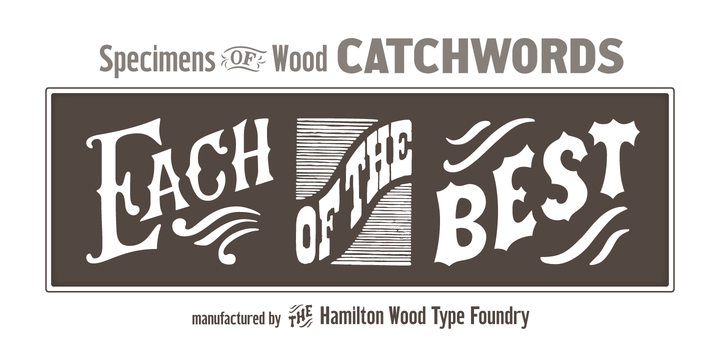 HWT Catchwords is a typeface created by Miranda Roth and published by Hamilton Wood Type Foundry. It is a decorative font with wood type look. You’ll have decorative ornaments using words like “The”, “And”, “To”, “For” etc. A font you cannot miss! A font description published on Wednesday, March 20th, 2013 in Fonts, Hamilton Wood Type Foundry by Alexandra that has 4,029 views.